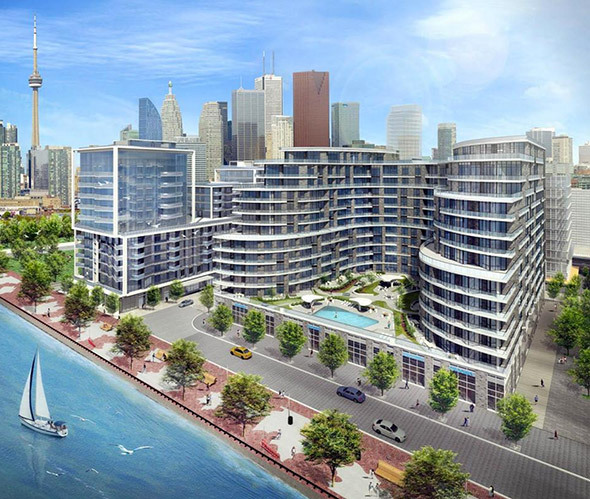 The eastern waterfront in Toronto is in the midst of an enormous transformation that will see the former industrial area become heavily populated with condos but also spaces that will grant access to the waterfront in areas that were previously closed off to the public. 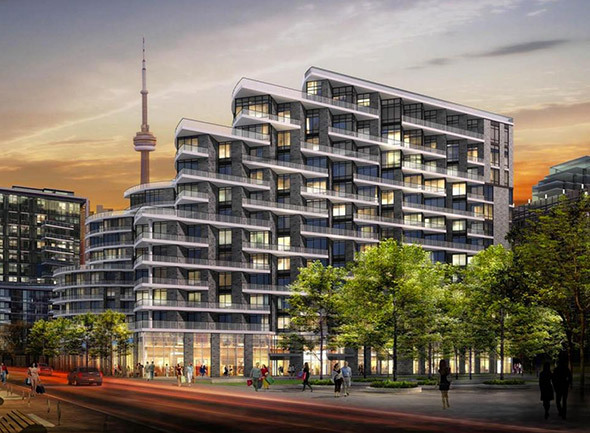 Successful projects like Sugar Beach, the Corus Quay Building, and George Brown's waterfront campus have dramatically altered the area already, and there are promising plans for the Aqualina at Bayside development that's set to revitalize the tract of land east of Sherbourne Common. Now we can get a glimpse of what's in store even further east. 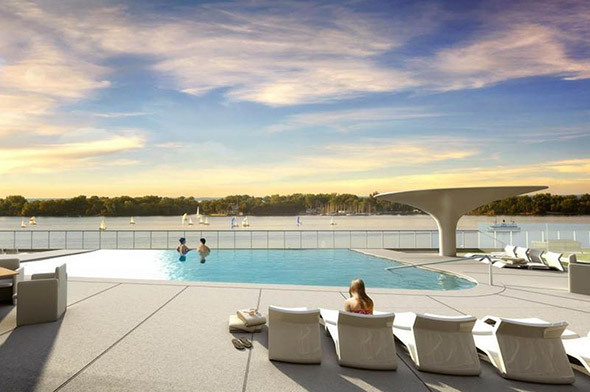 New renderings for the Aquavista condo project, a sister development to Aqualina, show off a sleek-looking 14-storey condo that features a rather stunning infinity pool hovering above the harbour. More importantly, these images show the extension of the waterfront promenade that currently begins at Sugar Beach and terminates at Sherbourne Common. 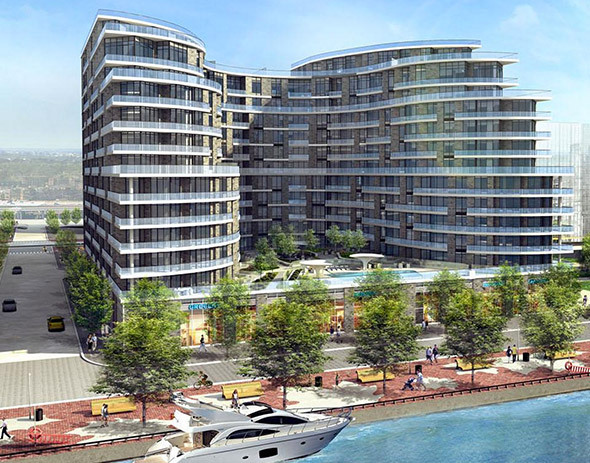 With retail/restaurants at grade and additional waterfront access, it's possible to get excited about developments like this even if one has no intention to buy a unit. Designed by Arquitectonica, this is an attractive building that underscores the idea that Waterfront Toronto's master plan for the eastern lakeshore will pay dividends for a city long cut off from this section of the lake. Have a look at more renderings below.